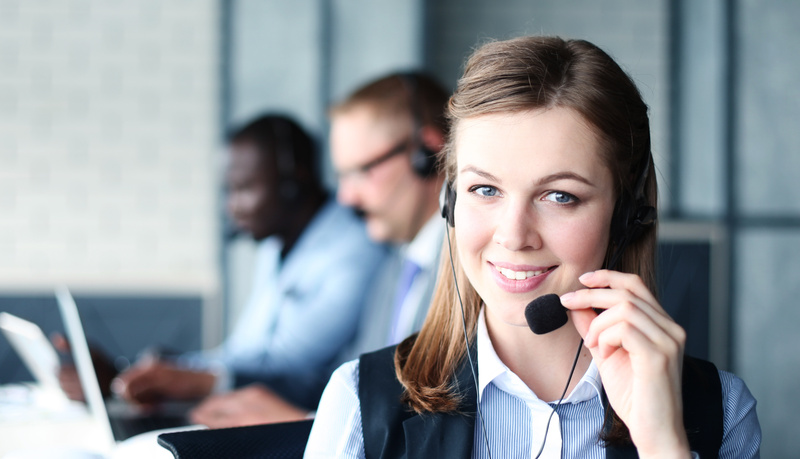 Portrait of call center worker accompanied by her team. Smiling customer support operator at work. - Event 1 Software, Inc.